Click the play button above to hear WLRN anchor Kelley Mitchell's interview with Manhattan Cafe owner Rosaly Guimaraes. Rosaly Guimaraes stands behind the counter of her Manhattan Cafe for the final time. But Rosaly Guimaraes knew it wouldn't always be that way. She knew a Performing Arts Center was destined to come, although she couldn't have known about the constant construction delays and cost overruns. 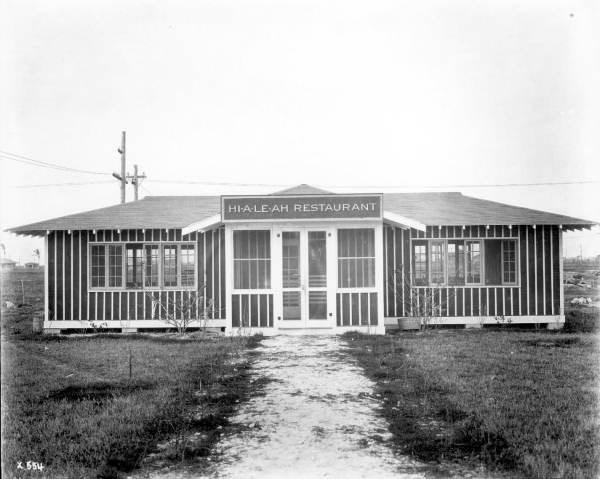 She opened up the Manhattan Cafe right across the street from the future Adrienne Arsht Performing Arts Center, her Manhattan name a nod to the New York she left, but her spirit came from Brazil where she was born. Guimaraes survived and thrived in the shadows of a shady part of town. 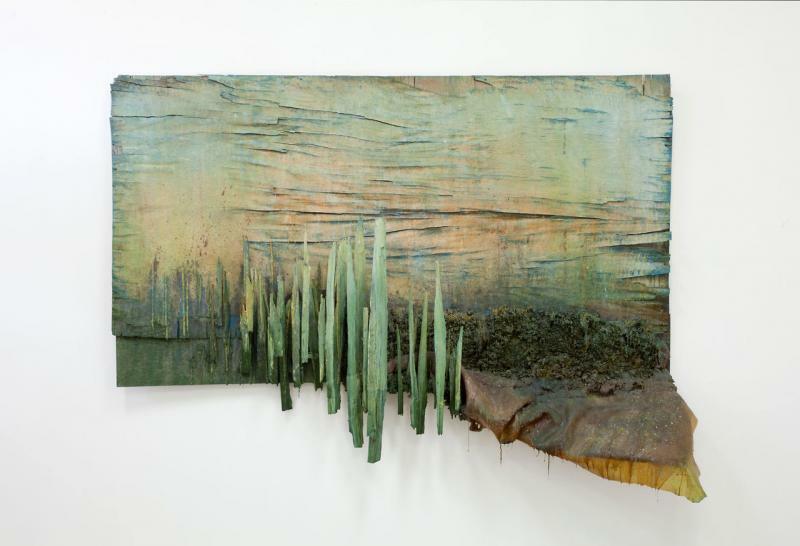 She watched the renovation of the Freedom Tower, the construction of the American Airlines Arena and the slow transformation from blight to delight. Now the building that houses the business that she pioneered is part of the gentrification of that section of town. Gentrification so often translates to money and this time it does as well. The building that houses the Manhattan Cafe has been bought by Spanish developer Espacio USA. The group is building a $412 million project that is set to feature two mixed-use towers at 1400 Biscayne Boulevard. The first phase of the five-year project that Espacio unveiled last fall includes a 12-story space for offices and retail shops. Then a 55-story tower with condo units, offices, restaurants and other retail space. A 10-story parking garage is also part of Espacio’s plans for the site. The only phase that Rosaly Guimaraes knows is that this chapter of the Manhattan Cafe -- like her sandwich shop -- is closed. Whether there is another life for the shop filled with Arscht Center performance playbills and posters autographed by the casts, she's not yet sure. But, she is sure of this. Her favorite sandwich is the #3 - Imported Prosciutto - fresh mozzarella, vine ripe tomatoes, basil, balsamic vinegar, extra virgin olive oil. On a baguette. Oh, those specially-baked French Canadian baguettes. It's my favorite too. And I got the very last one she ever made. At the original -- and maybe the only -- Manhattan Cafe. 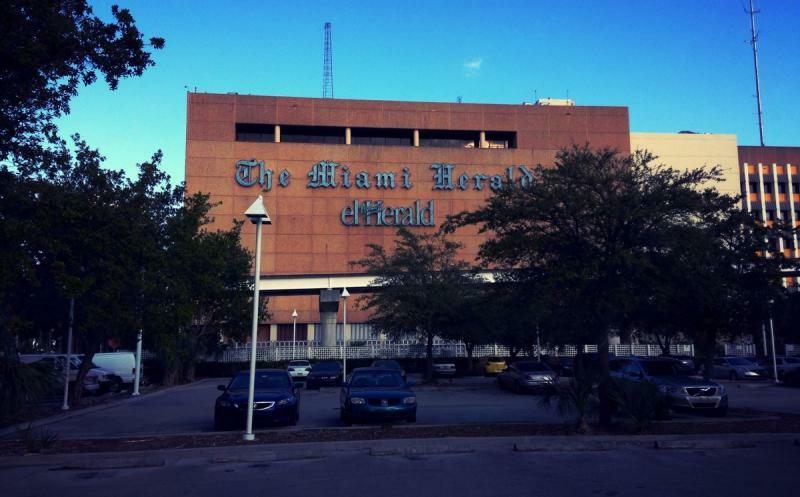 Last week, the Miami Herald shuttered its building on the bay. Located at One Herald Plaza, the beige box on the water is affectionately known as 1HP. Conference room meetings were interrupted by someone spotting dolphins. Water spouts could be seen forming from the cafeteria windows. Depending on the person, the building was either a testament to architecture done without aesthetics in mind, or an ideal place to do journalism. In Miami, everything has to do with migration, especially our food.